2017 Fleece-look at that luster! Well, what can't we say about this exceptional male? We purchased him with the expectation he would deliver. 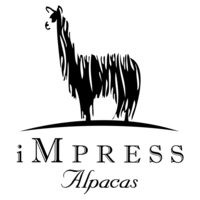 We have not been disappointed! His first offspring, IAF Carmella, has achieved 5 Championships, Best Luster (4 times! ), Judge's Choice 2x!)! We knew she was something special the minute she was born. 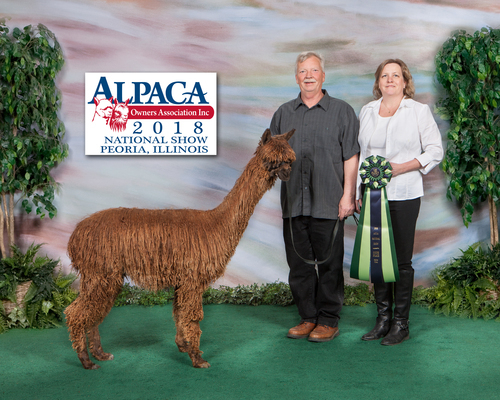 IAF Carmella has an unbelievable fleece show record-something that we specially engineered to make our entrance into the alpaca show world. 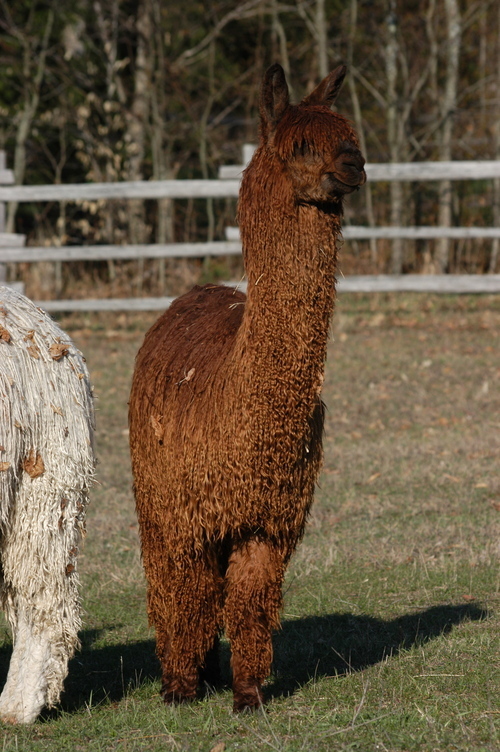 Scarlett O'Hara is a proven female and was one of the first alpacas we showed when starting out. She has beautiful fleece as evidenced by her show winnings. She has proven genetics and her first offspring, IAF Sampson, received a 2nd place at the 2018 Futurity, Best Bred and Owned and Reserve Color Champion Brown Suri Male at the 2018 Suri Network All Fleece Show! Her 2018 cria has hit the ground and is absolutely amazing! We just knew Sampson's fleece was over the top and we couldn't wait to get it in the judge's hands! We didn't doubt and it did well! 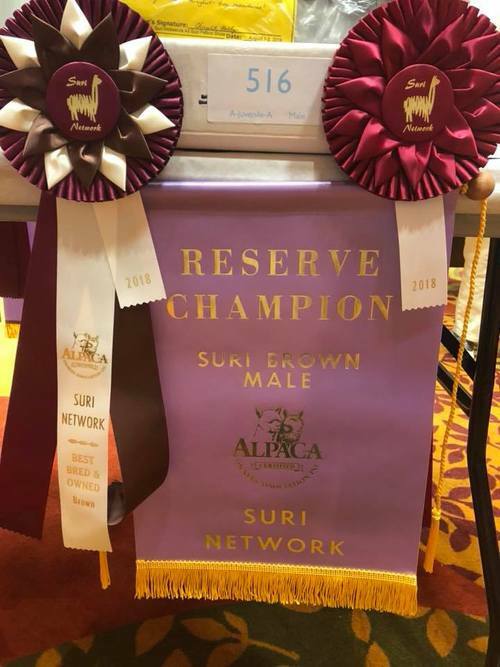 Sampson received the prestigious Reserve Champion award in the Brown Class along with Best Bred and Owned at the 2018 Suri Network All Fleece Show. Also his fleece earned 2nd place in his Juvenile Class! Sampson is from a pairing of our Young Felipe daughter Scarlett O'Hara and GLR Pablo. Scarlett's fiber has been over the top and she herself has done very well in the show ring when we were getting started. The Pablo offspring are making a name for themselves and IAF Sampson is following suit. Sampson received 2nd Place at the 2018 Futurity. This guy is really over the top and this was validated when we sheared him. 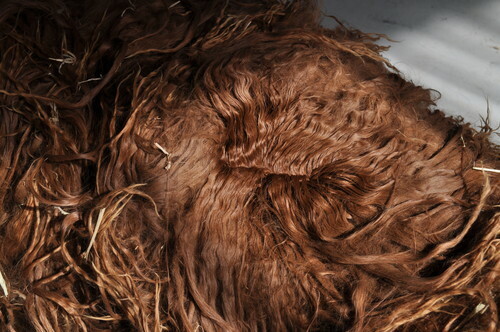 Just look at the luster in that fleece included here! He has matured so much since his showing and we truly believe he is the spitting image of his sire at this age. His conformation is certainly iMpressive and is beautiful to watch walking out of the barn. Purchasing Sam will allow the discerning farm a chance to have excellent genetics from a rocking' Sire and powerful legacy on the dam's side. He is sure not to disappoint!